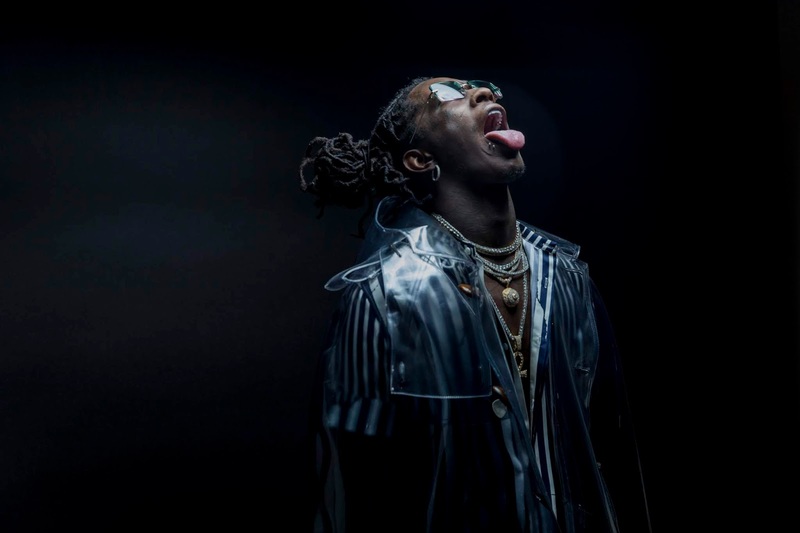 Award-winning superstar, Young Thug releases his On The Rvn EP. The 6-track project features appearances from the musical icon Elton John, 6LACK, and Jaden Smith. On The Rvn is Thug's most vulnerable project to date. With the weight of the world on his shoulders, Thugger is forced to consider the worst. Unsure about his freedom or future, the rapper who may appear superhuman is reduced to frail circumstances that could plague anyone. Under close watch, Young Thug can only run from his thoughts. On The Rvn serves as Young Thug's third release of 2018. The project follows the critically-acclaimed, Slime Language compilation mixtape and the 3-track, Hear No Evil EP. In 2017, the Atlanta native released the chart-topping collaborative mixtape with Future, Super Slimey. Along with appearing in a star-studded Adidas campaign, Thug reached #1 on the Billboard Hot 100 Charts because of his contributions to Camila Cabello's award-winning breakout single, "Havana." Recently, he announced his partnership with Luc Belaire. Currently, Young Thug is on tour with J. Cole.